And now the time has come for getting super crafty... More so than usual! 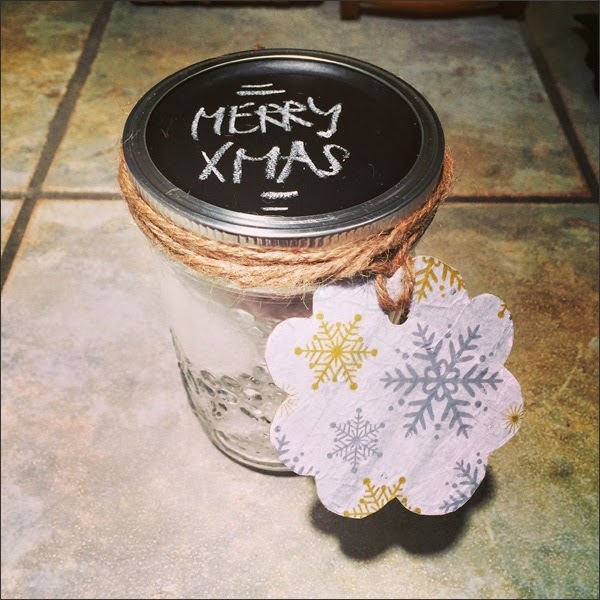 I need to prep DIY gifties for friends and family. A bit last minute... Eh gad! Plus I want to prep a few things for the segment with CBC's The Early Edition tomorrow morning. 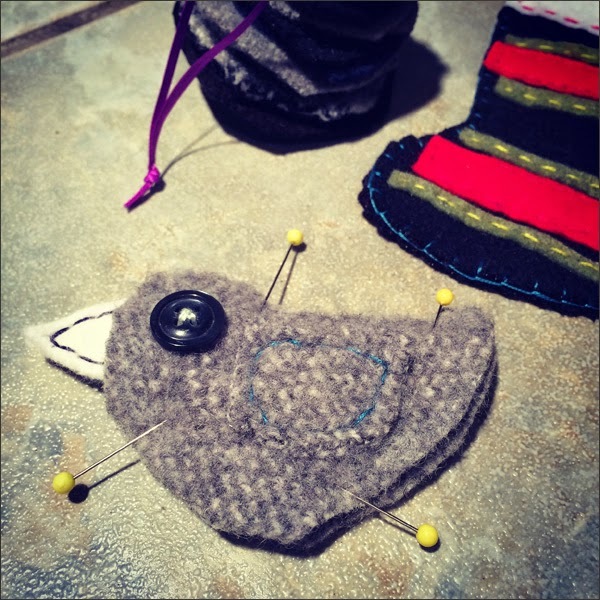 I worked on a few upcycled wool sweater ideas this weekend. I'll post those later! After that I tried a few more ideas for reusable packaging and instead of filling glass containers with goodies... I'm filling them with DIY bath salts or DIY hot cocoa mix. Depends on whose getting them - the spa junkie or the sugar junkie. 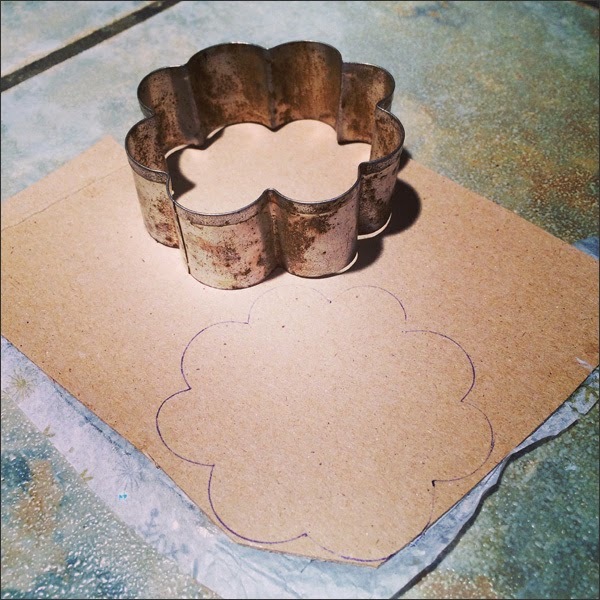 And picked out a cookie cutter for the shape of the gift tag. 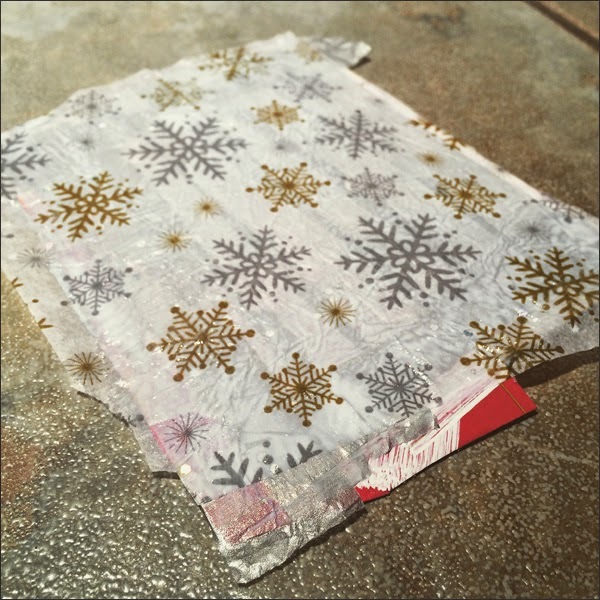 One idea was to Mod Podge this swanky paper on a couple of the gift tags. 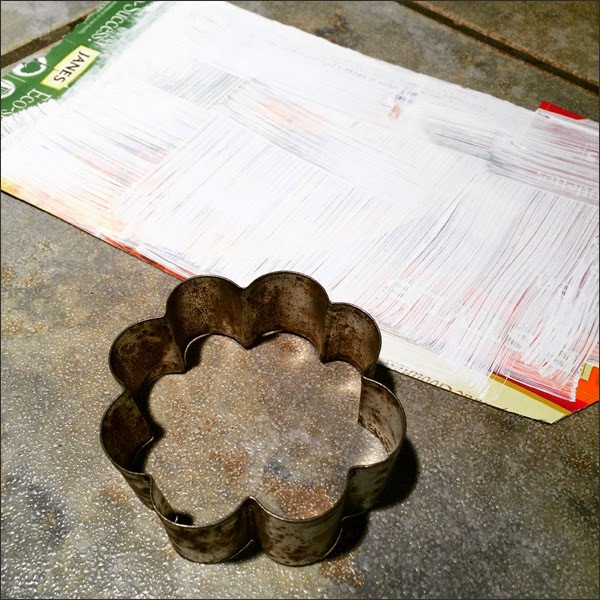 I first added a layer of silver tissue paper then the patterned tissue paper. 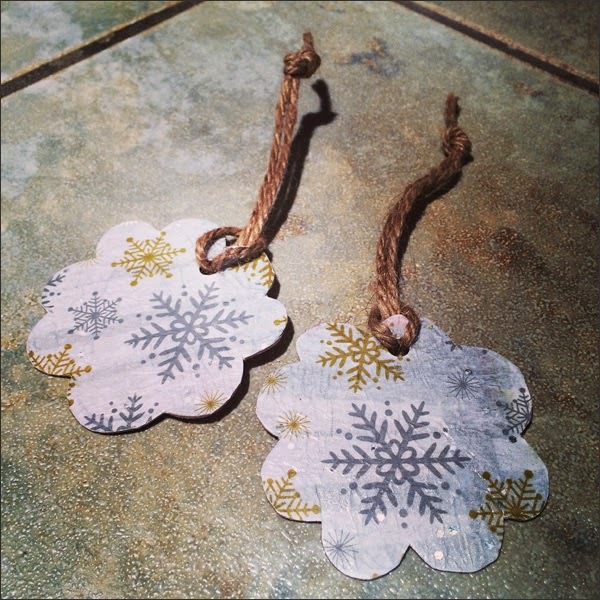 Here are the final gift tags out of upcycled cereal box cardboard... So cute! Here's the easy peasy how to... Prime, glue then cut. Simple and they look FAB! 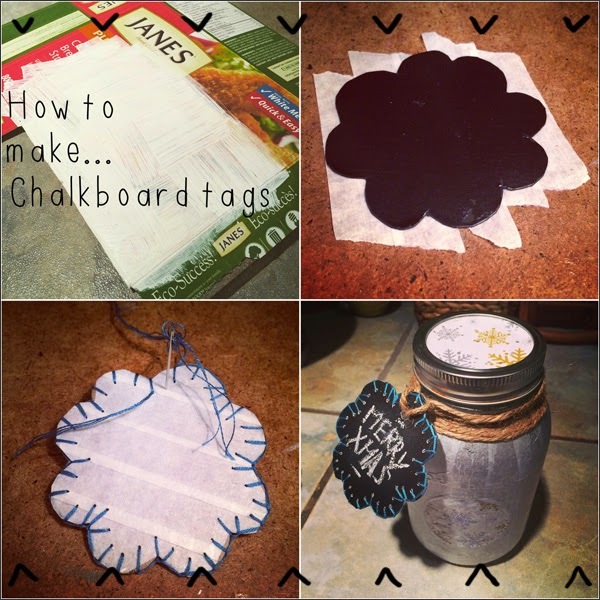 My other set of upcycled cereal box cardboard gift tags used spray chalkboard paint. I primed then sprayed. 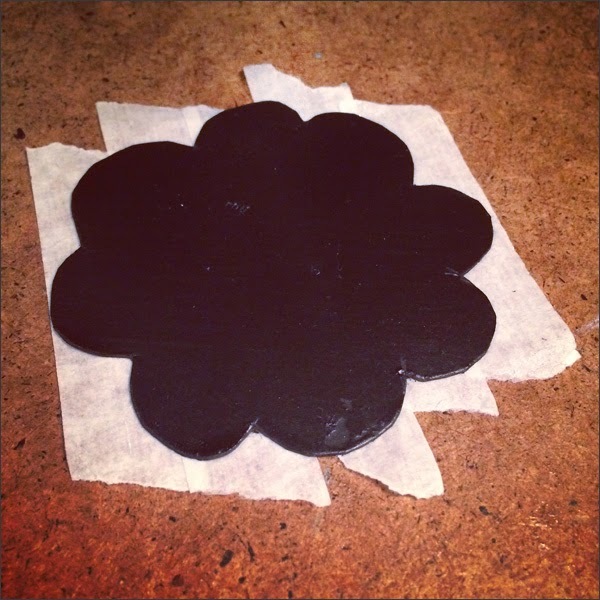 Once the chalkboard paint was dry, I cut out the pattern. I decided to add some bling to the gift card. I added masking tape to the back... Why? Well I wanted to add a buttonhole stitch along the edges. Fancy dancy! 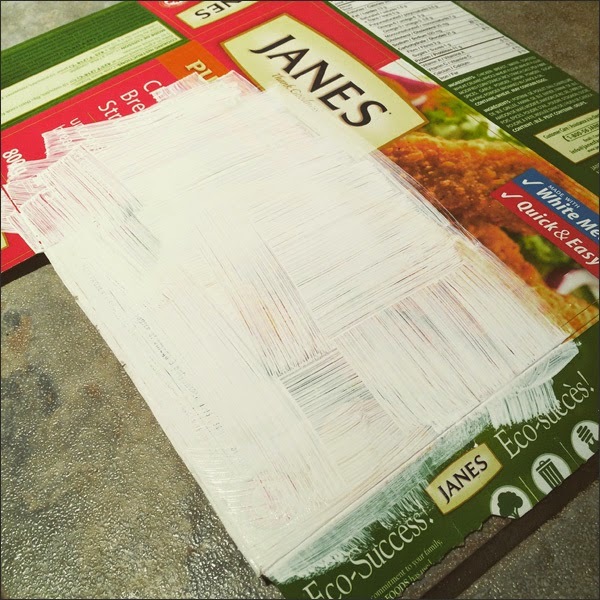 The masking tape helps avoid tears in the cardboard. 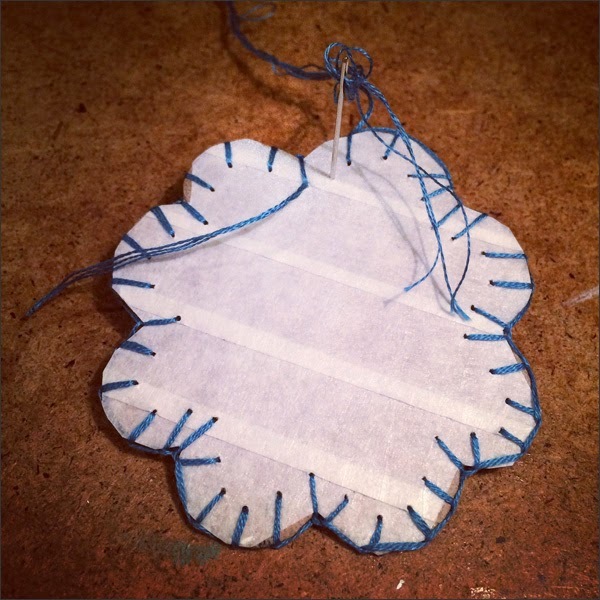 I also added the holes first with a pin then stitched. And another mini how to... 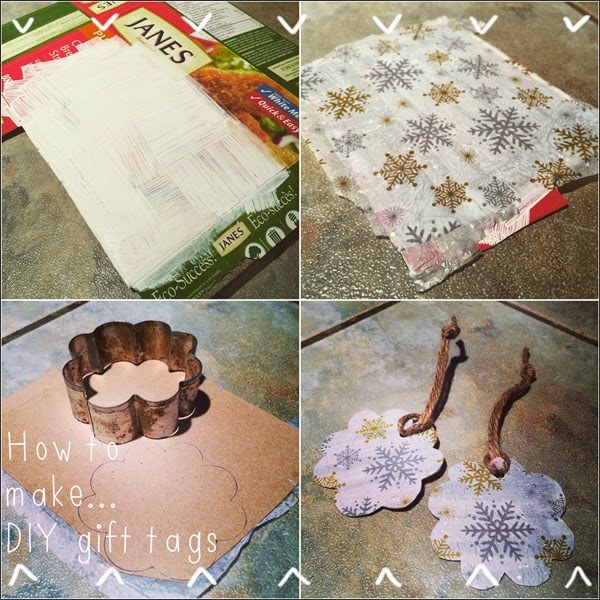 I was on a roll with the crafty mojo! Here are my gift tags with a couple of different ideas for the packaging. So what's inside these uber awesome containers? 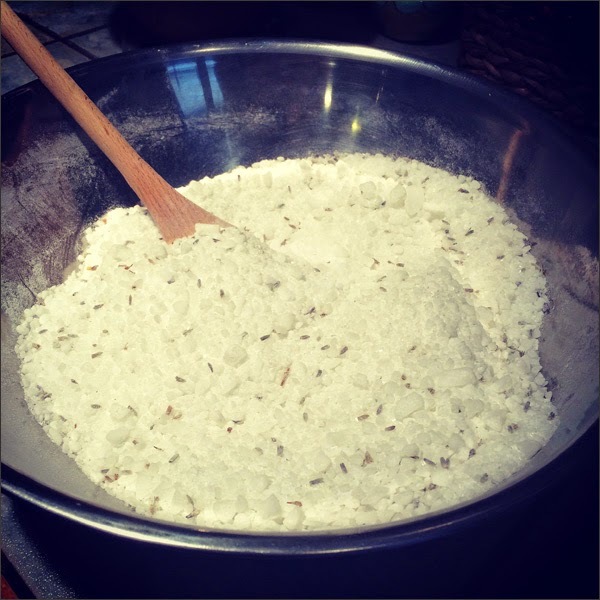 Well DIY bath salts with the most divine smell. 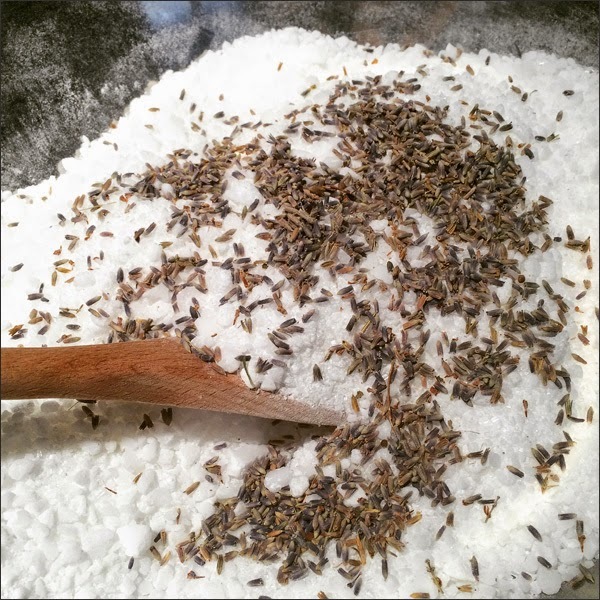 Who knew making your own bath salts was so easy and inexpensive! I'm never buying bath salts again... I found my recipe via Martha Stewart. 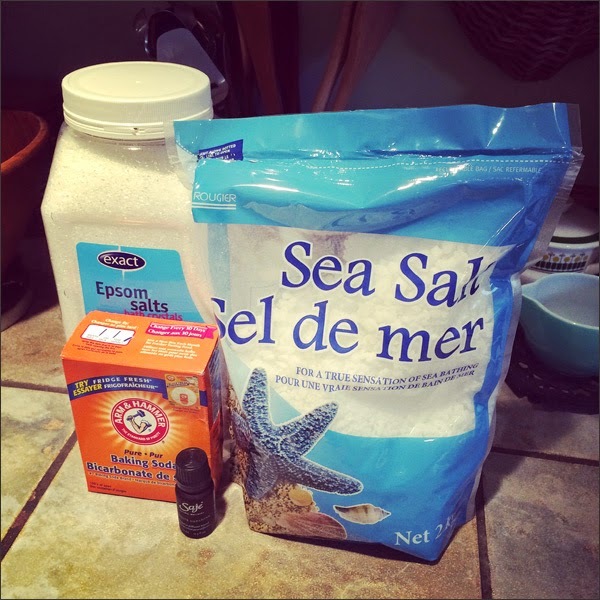 All you need is coarse sea salt, epsom salt, baking soda and essential oil(s). You can add food colouring but I opted out. 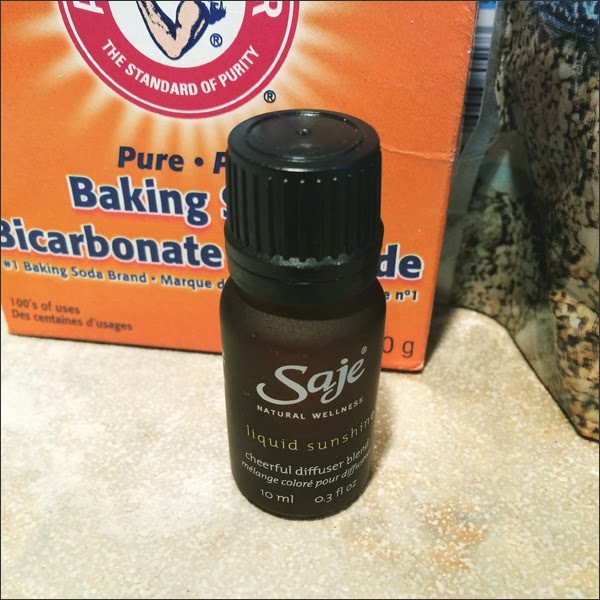 Here's the essential oil I went with - it's from Sage and it's called Liquid Sunshine. It has lime and mandarin in it. 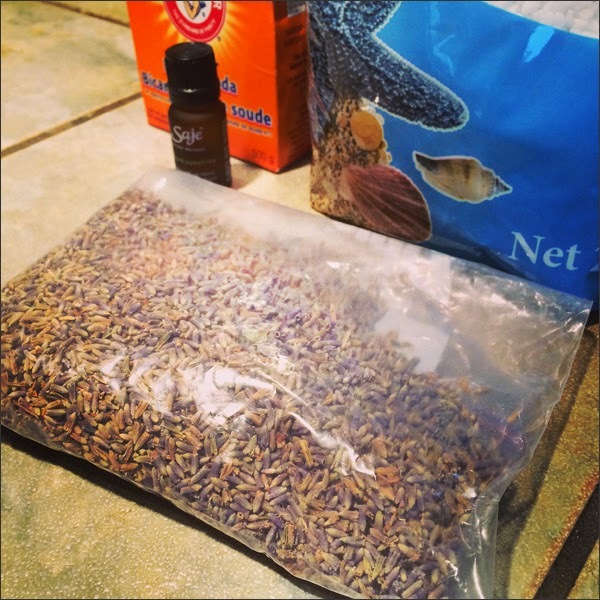 Instead of food colouring I decided to add loose lavender to the mixture. 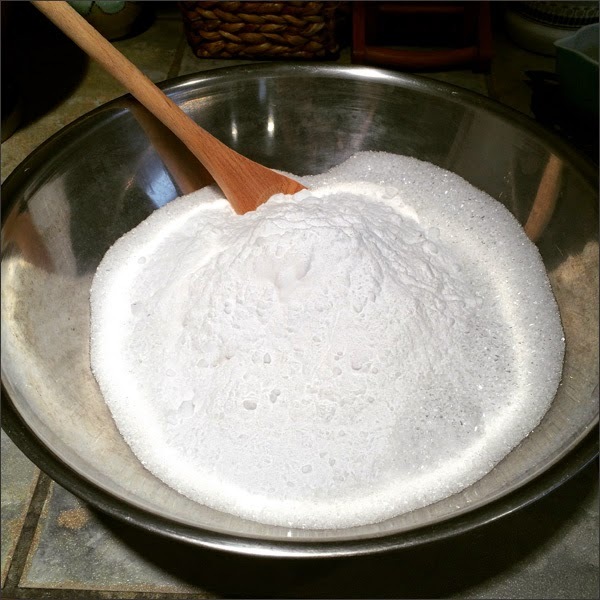 Now all you do is mix up your ingredients... 6 parts coarse sea salt, 3 parts epsom salt and 1 part baking soda. 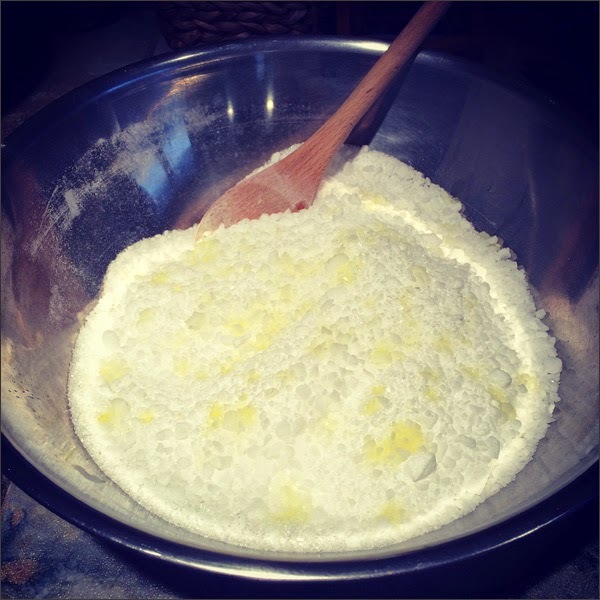 Once mixed you then add the essential oil. Finally I added the loose lavender. 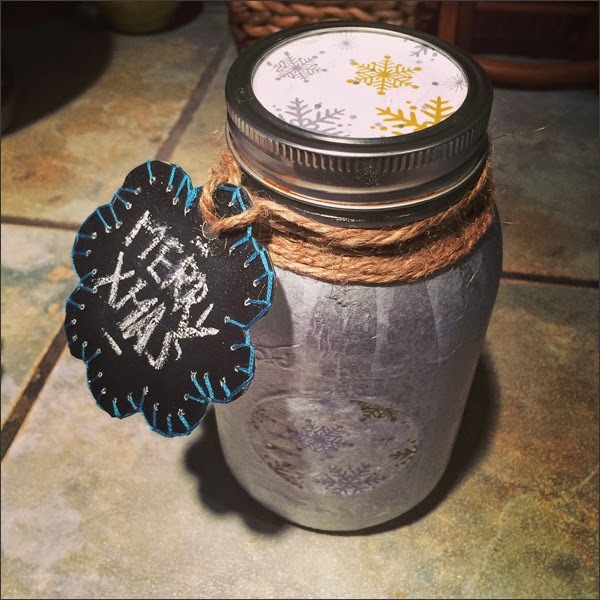 Next was adding the mixture to my completed Xmas containers... I'm really happy with these! 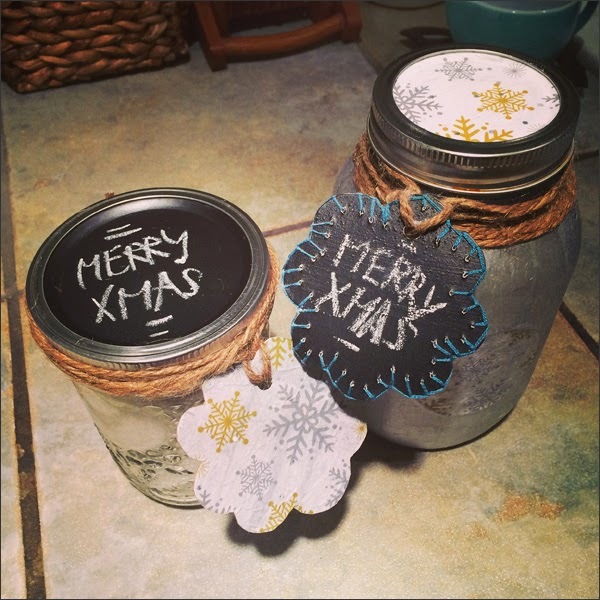 Super simple container... Just added chalkboard paint to the top then wrapped the gift tag around the rim. What a cutie patootie couple they make! 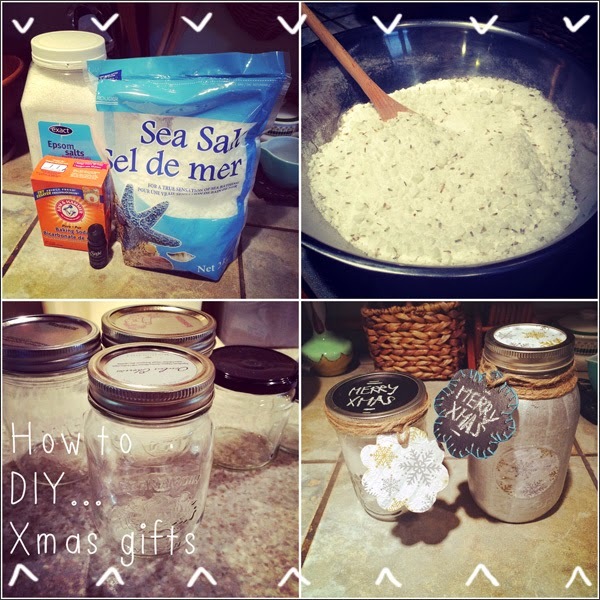 All DIY gifts should be so easy... And cost effective. And fun. Total score! Next up... DIY hot cocoa mix. 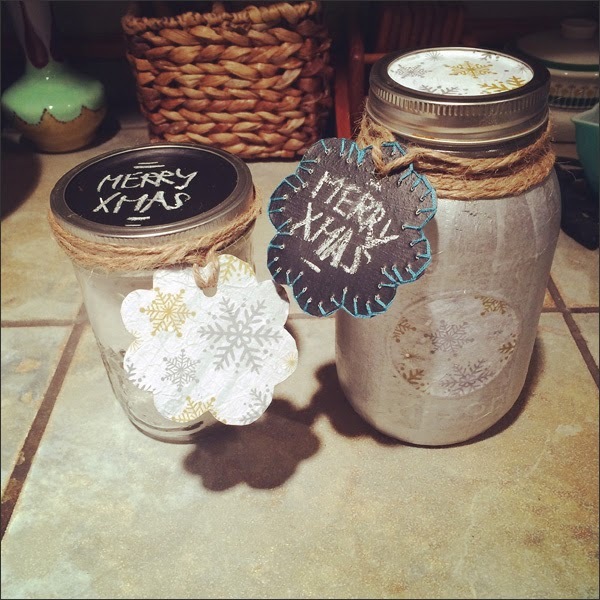 Crafting is da bomb!